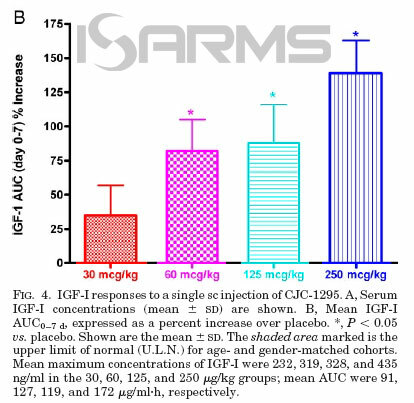 CJC-1295 is a peptide hormone that is used as an analog of GHRH (growth hormone releasing hormones), and it has the ability to raise growth hormone and IGF-1, which can give a boost from A to Z, allowing the athlete to reach their fitness goals. Therefore, athletes usually use peptides as part of their stacks in order to enhance their steroid cycles and performance. In this article we will discuss all the benefits that this amazing peptide brings to the table, and show you how to use it properly. In spite of being such a beneficial compound, CJC-1295 has a very short and simple story, which is limited to the fact that it was invented by ConjuChem, a pharmaceutical company in Canada. First of all, DAC simply means “Drug Affinity Complex,” and ‘with DAC‘ drugs are going to be pricier. For instance, if you visit your favorite peptide company’s internet site, you will notice that there is a CJC-1295 with, and another one without DAC. Logically, you will ask yourself – what are the differences? The answer to this question can be confusing, but let me try to explain it as simple as possible. If you want to get the best bang for your buck, you probably are going to want to get the ‘DAC’ version of CJC-1295. 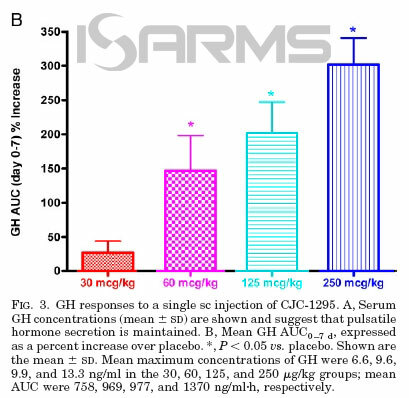 The reason is that you will get more GH (growth hormone) pulses, and the half life is much more lengthy with this version of CJC-1295. This is made possible by the DAC addition, which will bind to albumin that is circulating throughout the body for many days, and it will continue to look for receptors to bind to. On the other hand, if you want more injections and shorter half life, then go with ‘NO DAC’. However, if you want the best money value, less injections, and more GH pulses, then go with the ‘DAC’ version. 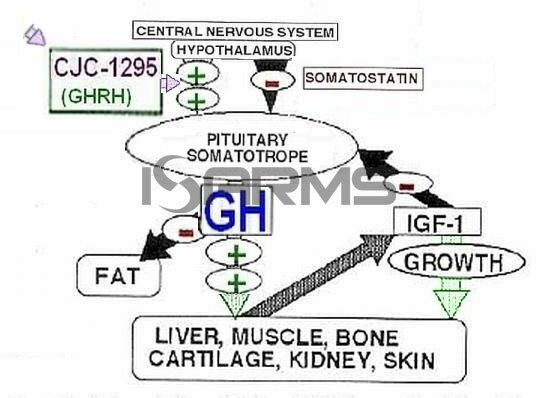 CJC-1295 works by telling the pituitary glands to release growth hormone. Nevertheless, remember that the body is smart, and it will try to maintain a homeostatic balance, so GH will be released in pulses. In fact, this is partly the reason why CJC-1295 works much better when stacked with GHRP as well. Unfortunately, as we age, our growth hormone will drop rapidly in our 20’s, and it will continue to fall till its almost nothing when we become seniors. This is why our body seems to get slower, and nagging injuries tend to heal up with more difficulties. 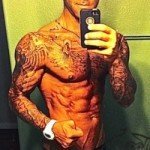 Hence, being able to fight getting old is every man’s dream, and getting those growth hormone pulses as a result of using CJC-1295 is like tapping into the fountain of youth! 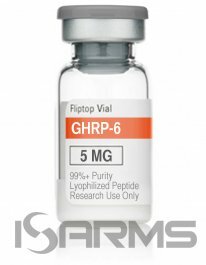 As a user, you must keep in mind that with these types of growth hormone peptides you will not necessarily achieve overnight results. Thus, if that is what you are expecting, you should look elsewhere because patience is very important with CJC-1295 and other GHRH. In the meantime, those that run this compound consistently over time can expect better and harder sleep, anti-aging properties, fat loss, lean muscle mass growth, injury repair, and better vitality. Side effects are very mild and rare on CJC-1295, and they only take place if this compound is abused. When such cases take place, some users complain about numbing fingers/hands, joint aches, and low blood sugar. In order to store and use CJC-1295, you will need to mix this peptide with bacteriostatic water, and keep it in the fridge. I recommend using an insulin needle, and you can inject it anywhere subcutaneously. For instance, a popular spot is the stomach fat around the belly button. As far as dosages and injection scheduling, this has been a widely debated topic on forums, where everyone has their own strategy to do it. Nonetheless, I have put together a simple way to use CJC-1295. CJC-1295 with DAC can be injected at a dosage of 2 milligrams (mg) every 3 days, while the ‘NO DAC’ version should be injected in smaller amounts of 150 micrograms (mcg) 2-3 times per day. If you go with ‘NO DAC’ try injecting on an empty stomach before breakfast, and then before bed. 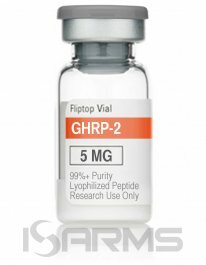 It is also wise to use GHRP along with CJC-1295 if you want to maximize results. 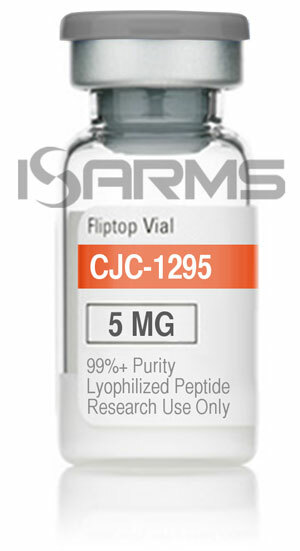 CJC-1295 can be purchased from online peptide companies very easily. For example, a 2mg bottle costs anywhere between $15-$40, so you are looking at an expense of about $50-60 per week, not counting needles and BAC water. However, don’t forget that peptide companies are unregulated, so be careful where you buy your products from, and make sure it is a very reliable company.